These are the most common type of hinges used to hang the door. 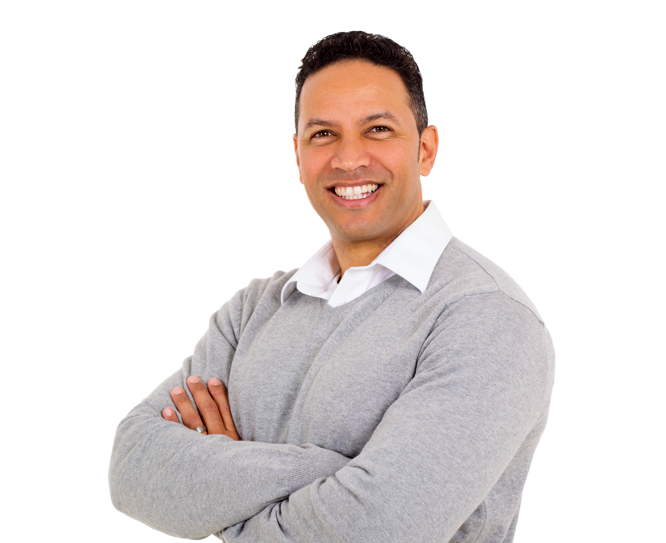 They are often identified by the number of knuckles on the barrel – two, three and five knuckles are available. Five knuckle hinges are used most frequently. 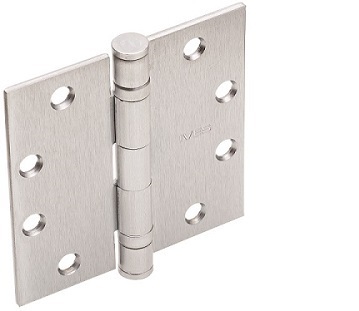 If using conventional hinges, be aware that you should always use ball bearing or concealed bearing hinges for doors with door closers and for fire rated openings. Continuous hinges extend the full height of the door which helps evenly distribute the weight of a door to the frame. This reduces the strain and wear to the door and frame. 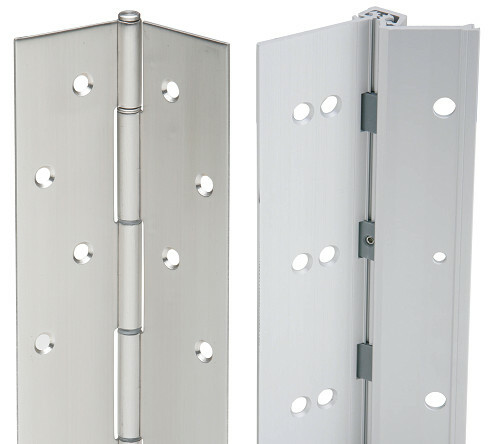 Continuous hinges are frequently used on retrofit applications because they can be surface mounted to the face of the exsting frame and door. 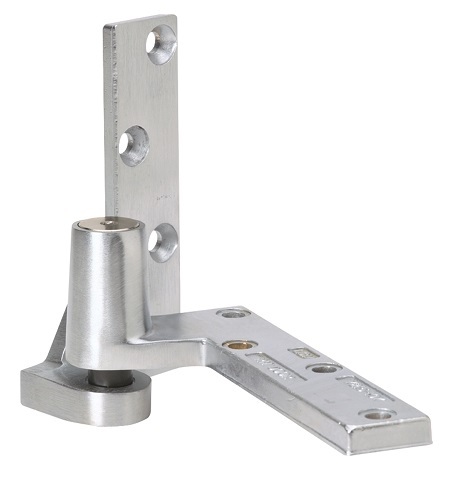 Geared continuous hinges can carry doors up to 450 pounds while pin and barrel hinges can hold up to 600 pounds. Pivots are capable of carrying heavy loads because they transfer the weight of the door directly to the floor. They are also often selected for their aesthetically pleasing appearance. There can be offset pivots, center hung pivots, concealed pivots, and occasionally an intermediate pivot is specified to help carry additional door weight. Pivots are capable of holding doors weighing 200 pounds up to 700 pounds and some can carry as much as 1,750 pounds.